Museos sin Tranqueras (Museums without Gates) second meeting was held on November 28th and 29th in the cities of Coyhaique, Villa Ortega and Ñirehuao (Aysén Region, Southern Chile). It gathered 24 leaders from local museums and cultural centres that met to have conservations on collections care strategies and the social agency of their museums in isolated territories such as Aysén. Workshops were conducted by the team of Aysén Museums Network, project funded by the Regional Government of Aysén and run by the Austral University of Chile (Patagonia campus) in partnership with the Regional Museum of Aysén. The logistical support was provided by the Red Cultura from the Chilean Ministry of Culture, Arts and Heritage. 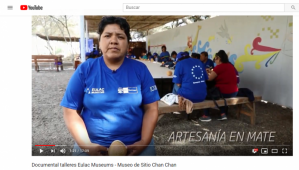 In particular, Museos sin Tranqueras addressed the case studies part of the EULAC Museums and Communities project, as well as the potential of museums collaboration for social empowerment. 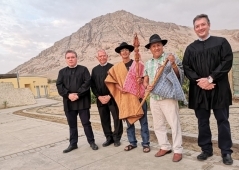 Attendees had opportunities to strengthen connections as part of a new-born Aysén Museums Network, while exploring cooperation practices from the Network of Museums and Cultural Centres of the Los Ríos Region. Participants also began an intimate dialogue with the local photographer Fabian España on how photography serves as a mean of storytelling. Following España’s presentation, Juan P. Varela, collections manager at the Regional Museum of Aysén, shared ideas on photographs preservation and preventive conservation. But some of the most important conversations took place during the visit at different small-medium scale museums whose collections were donated by the community. Firstly, attendees visited the Museo “Los Colonos de Nuestra Tierra” (Settlers of our Land museum), a space built by the inhabitants of Villa Ortega opened to the public in 2003. Then, to the Museo del Valle de la Luna (Moon’s Valley Museum) in Ñirehuao - one of the most isolated towns in the Patagonic steppe. It was named after the geological formation located in the sector whose features are alike to a lunar landscape. Participants could ask questions to each leader on their career as a museum worker, as happened during the visit to the Football Museum-Restaurant in Coyhaique, where they could empathise with a different management model and have an introspection on each museum history. Aysén Museums Network project aims to bring museums’ leaders closer by promoting collaboration and reflections on heritage promotion through local museums. Museos sin Tranqueras was possible thanks to the participation and motivation of delegates from the museums of the following towns: Balmaceda, Coyhaique, El Blanco, Ñirehuao, Villa Ortega, Puerto Cristal, Puerto Río Tranquilo, Puerto Sánchez, Villa Cerro Castillo and Villa O’Higgins. Bi-regional Meeting Europe-Latin America "Cultural Management of Water"